The Japanese baseball season started a couple of weeks late this year due to the tsunami. The Rakuten Eagles play in Sendai and their stadium was severely damaged so they've had to juggle the schedules around quite a bit to enable Rakuten to play on the road while repairs are made. 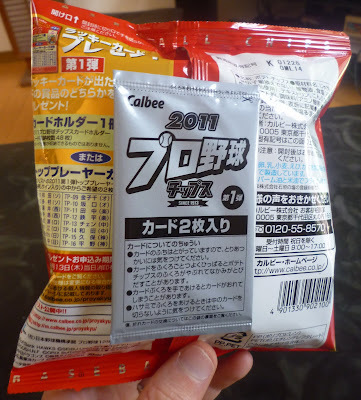 Anyway, with another baseball season comes another futile attempt by me to collect a set of baseball cards one bag of Calbee chips at a time. Its an annual rite of passage that I look forward to every spring. The 2011 Calbee baseball card chips look exactly the same as the 2010 baseball card chips, and every bag of baseball card chips they've made since I bought my first one 11 years ago. Due to my general fear of change I view this as a good thing. 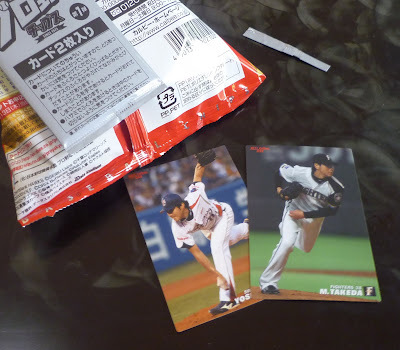 Well, the bags and cards look the same, but when I first started collecting these things they only put one card in the bag. They started putting 2 in a couple years ago. This development didn't help me get any closer to collecting a whole set. In fact, it just made me buy less of them as they jacked the price per bag all the way up to 88 yen. 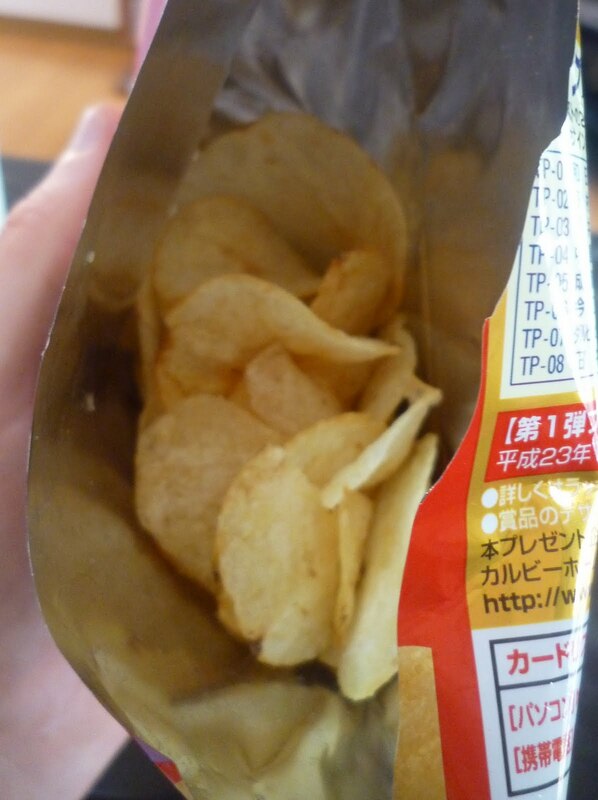 Anyway, one thing I will admit to wishing they would change is the flavor of the chips. You have one selection: plain. That is it. 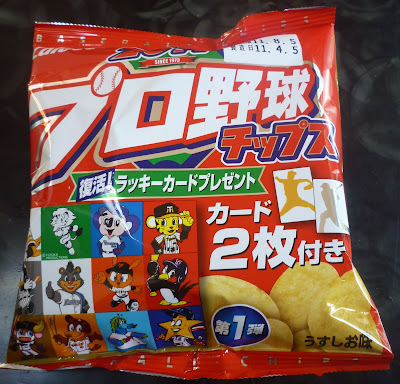 You would need to eat several hundred bags of plain chips over the course of a single baseball season to have a realistic shot at collecting the whole set. Hence my failure to ever come close to accomplishing that goal. They are fine every once in a while but its still April and I'm tired of the things already. Sour cream and onion would be nice every once in a while.